The United Bid offered FIFA 23 qualified Candidate Host Cities to be considered as part of a final Host City evaluation and selection process. We are further supported by dozens of additional communities spanning the entire continent of North America that wish to play a part by providing Team Base Camp options, hosting satellite FIFA Fan Fest™ events, and fully supporting our efforts to grow the game and engage fans in every community. Our Candidate Host Cities reflect the vast geographic and cultural diversity of North America; they are leaders on environmental protection and are committed to embedding human rights into their core operations and communities, and offer the promise of growth and innovation. Every one of our Candidate Host Cities is motivated. They are committed to delivering the most significant economic, environmental, and social benefits from their role as hosts. They all have existing world-class transportation, accommodation, medical, technology, and other infrastructure, meeting or exceeding the requirements outlined by FIFA and ensuring the largest ever FIFA World Cup™ can be delivered with certainty. They each bring experience, expertise, and enthusiasm to the task of welcoming, entertaining, inspiring, and empowering visitors from around world. North America is home to over 200 different ethnic groups, with established fan bases for every nation that may qualify for the 2026 FIFA World Cup™. When teams arrive for training, they can find all the comforts of home – favourite foods, local culture, places of worship, native language speakers – wherever that home may be. At their matches, each national team will play to capacity crowds with fans supporting both teams as their own. For the first time 48 national teams will participate in the 2026 FIFA World Cup™ across 80 matches. Canada has proposed Edmonton, Toronto and Montréal, QC as the Canadian Candidate Host Cities for the United 2026 bid. The opportunity extends well beyond matches with an eight-year build up to the competition and a legacy that will include alignment of the Men’s National Team Program, creation of Team Base Camps and infrastructure improvements. As with past FIFA events hosted in Canada, it is expected there will be many positive economic and social benefits for Canadians and Canadian communities, Official Host Cities, and others involved in auxiliary activities around the event. Past FIFA events hosted in Canada have set records, created jobs, and have had a lasting impact on the game in our country! The last men’s competition hosted here, the FIFA U-20 World Cup Canada 2007, set an attendance record for the event with 1.2 million spectators while generating significant economic benefits to the host cities, with between $5 million to over $10 million being spent in each of the six official host cities (Victoria, Burnaby, Edmonton, Toronto, Ottawa, Montréal) plus the construction of the $63 million National Soccer Stadium in Toronto, now known as BMO Field. The gross economic activity (industry output) was approximately $260 million, which supported a total of more than $43 million in taxes as the initial expenditure worked its way through the economy. 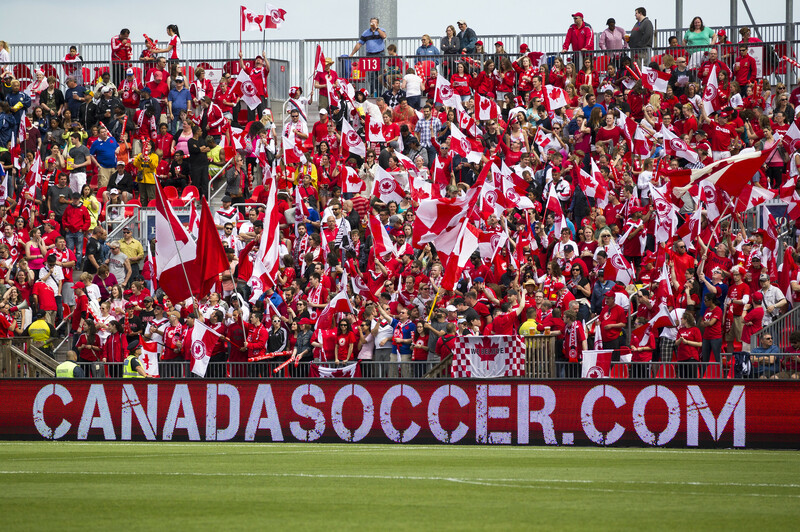 Canada again set a FIFA attendance record by hosting the FIFA Women’s World Cup Canada 2015™, welcoming more than 1.35 million spectators. The combined hosting of the FIFA Women’s World Cup Canada 2015™ and FIFA U-20 Women’s World Cup Canada 2014 supported an impressive $493.6 million in economic activity - exceeding the preliminary projections of $337 million made in February 2014 by 46%.